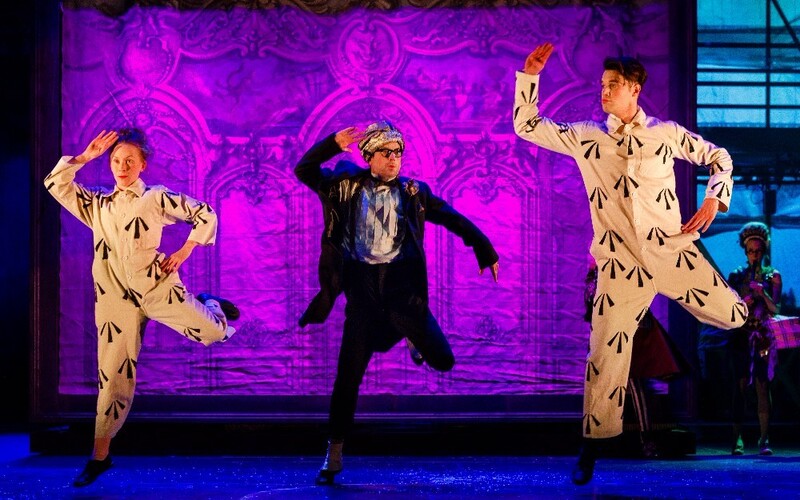 It may seem a bit of a risk for Bristol Old Vic to put on one of Hans Christian Andersen’s most depressing stories at a time when punters are looking for laughs and light-heartedness. Faced with a plethora of tales from one of the world’s greatest ever story-tellers – from the Little Mermaid to the Ugly Duckling – this one may seem a strange choice. Essentially, the original story focuses on an impoverished child, forced to sell matches on the street. In the middle of winter, she lights her matches to stay warm, and they bring her visions of feasts and festive gatherings. At one point a vision shows her grandmother in heaven, so she keeps lighting matches until she runs out and dies. So far so macabre, one might think. However, Director Emma Rice has done something quite magical with the Little Matchgirl, using each strike of her match to show a different story by Andersen. Thus she is transported from her dreary condition into the worlds of Thumbelina, The Princess and the Pea, and The Emperor’s New Clothes. As a plot device it works perfectly, and using the darker story of the match girl adds a neat change of tempo to the play, which is mostly full of japes and quirkiness. Pulling the strings throughout is the superb Niall Ashdown as the narrator Ole Shuteye. Part-showman, part-panto dame, part-Eric Morcambe, he guides the little match girl through the stories, adding the kind of festive relish that keeps the plays energy up. He is great as the nudie Emperor, showing off a dangling wang to the delight of the children in the audience, who are mostly beside themselves. There is more nuanced humour as well – allusions to Kevin Spacey’s recently-uncovered wrongdoings are particularly neat. There are strong performances throughout the cast. Guy Hughes asserts his leading man attributes as the Prince in the Princess and the Pea. 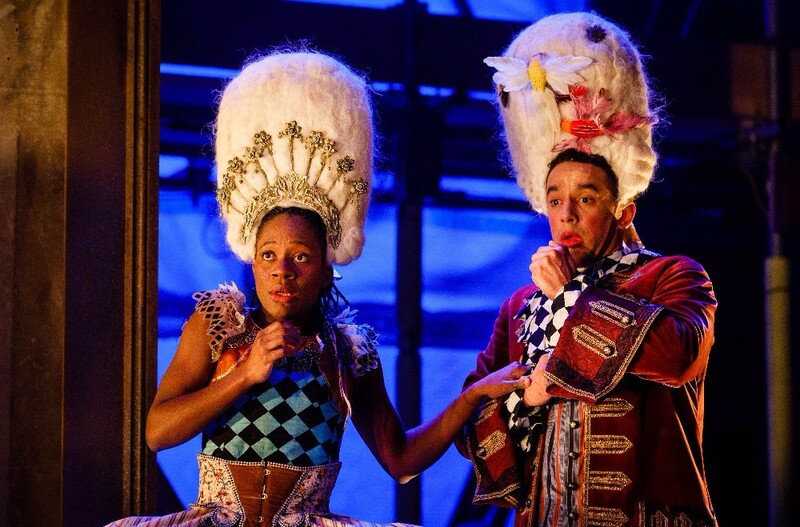 Karl Queensborough demonstrates a remarkably soulful singing voice as the swallow in Thumbalina, while Katy Owen is great alongside Hughes as a pair of fashionistas in The Emperor’s New Clothes. Alongside the acting, the musicianship is superb – double bassist Dave Johnzy sporting a ripe black eye for tonight’s performance. All of which adds up to a beautifully interwoven series of tales. The match girl dying at the end is a remarkable finale to a Christmas play, but one which allows for a change of tone, for the cast to switch from gaiety to sincerity and promote the work of St Mungo’s in tackling homelessness.